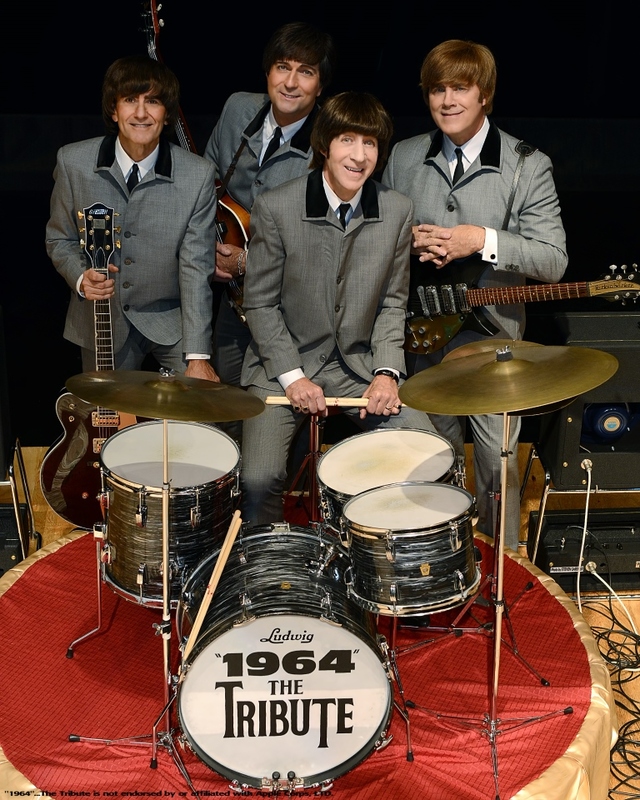 The Vilar Performing Arts Center (VPAC) invites Beatles fans to scream when “1964”… The Tribute hits the stage on Saturday, August 29 at 8 p.m. Hailed by Rolling Stone as the “Best Beatles Tribute on Earth,” “1964”…The Tribute takes their audiences on a musical journey to an era in rock history that will live in all of our hearts forever. Choosing songs from the pre-Sgt. Pepper era, “1964” astonishingly recreates an early 60’s live Beatles concert, with period instruments, clothing, hairstyles, and onstage banter. Over 25 years of researching and performing have made “1964” masters of their craft. 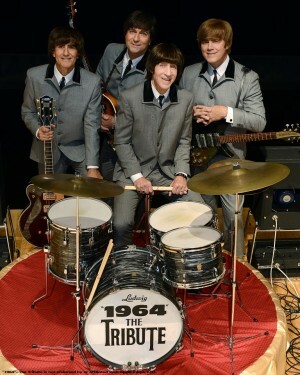 Tickets to “1964”… The Tribute are $59.50 and are on sale now at the VPAC Box Office (970.845.8497/www.vilarpac.org). Since the early eighties, “1964”…The Tribute has been thrilling audiences around the globe by taking them on journey through a quintessential moment in music history. “1964” is: Mark Benson as John Lennon, Mac Ruffing as Paul McCartney, Tom Work as George Harrison and Bobby Potter as Ringo Starr. Mark Benson (John Lennon) and Gary Grimes (The Original Paul) together with Tom Work and Greg George started “1964”…The Tribute. Mark was introduced to music playing drums and piano at age eight, and started playing guitar at age 17. Mark is also a guitar luthier and maintains all of the instruments. His 2 Rickenbacker 325s are custom made by him and contain customizations to more closely resemble and sound like the original Lennon guitars. Mac Ruffing (Paul McCartney) is a lifelong Beatles fan. He played the drums as a teen, but when he saw a copy of a Hofner bass at a local music store he had to have it, and taught himself how to play Beatles’ records. In California he played in several local Beatle groups, including Help! and Imagine. Mac also has performed with the Beatles tribute show Rain, playing worldwide including a stint on Broadway. Mac is actually right handed and learned to play the bass left handed to more accurately portray Paul. Tom Work (George Harrison) began playing guitar in 1961 and is a founding member of “1964”…The Tribute. Tom has also worked in over 20 musical theatre productions, both in leading roles, and behind the scenes as Producer/Music Director. In 2006 Tom returned to “1964”…The Tribute, ending a 12-year sabbatical. Tom lives with his wife and their two children in Ohio, and he would like to thank Gary Grimes for the thousand gigs and the million memories. Bobby Potter (Ringo Starr) started taking snare drum lessons in the 5th grade and got his first set in the 7th. When he discovered The Beatles he made it a personal goal to be like Ringo. He spent several years in Los Angeles where he helped form The Finders and Shake, Rattle N’ Roll. He then moved to Las Vegas and played the Nevada casino circuit. Still wanting to achieve his personal “Ringo” goal he joined two Beatle tributes, spending 8 years in this endeavor. His personality shines onstage as he authentically reproduces every beat and moves his head to the music portraying Ringo with precision and style.